Come into the tire centre at Coastline Mazda today and see how our specialists can help you find the right tires for your Mazda vehicle. Whether you have a sedan like the reliable Mazda3 or a versatile and luxurious SUV like the Mazda CX-9, our tire centre has the tires that you need. 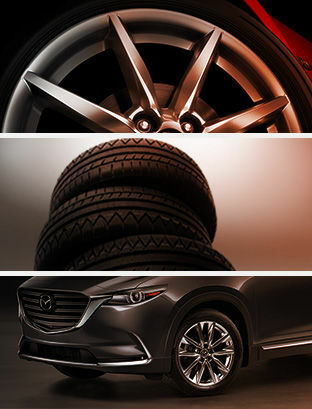 Coastline Mazda has the tires you need for your Mazda vehicle at competitive prices. We have every top brand including Nokian, Bridgestone, Goodyear, Michelin, and Continental. Thus, we can provide you with the right tires regardless of your needs and budget. Your tires are the most important part of your vehicle. When you come into Coastline Mazda, you will be amazed at our wide inventory of tires as well as the expertise of our tire experts. For summer or winter tires, Coastline Mazda has you covered. Come in today and visit our tire centre to see how we can help you.